Since paintball began in the early eighties, it’s become a hugely popular, high adrenaline team building activity. A day of paintball is extremely effective for raising staff morale, increasing productivity as well resolving tension in the work place. In Delta Force’s twenty years of operation we have hosted countless corporate events for some big name companies and sports teams such as McDonald’s, British Telecom, Sky Broadcasting, Manchester United FC and the McLaren F1 team as well as hundreds of others. At Delta Force we believe in building a happy and motivated team to strengthen our position as the UK’s number one paintball provider. That’s why every year at the beginning of September we send every one of our centre managers on a fun filled adventure holiday to thank them for the excellent job they do over the busy summer months. 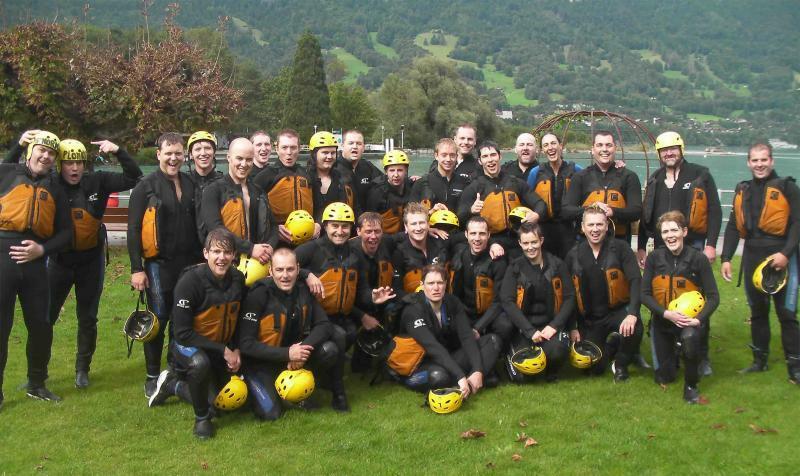 This year’s destination was Interlaken, the adventure capital of Switzerland, so we flew out 27 of our managers from across the UK to Switzerland for three days of intense team building. 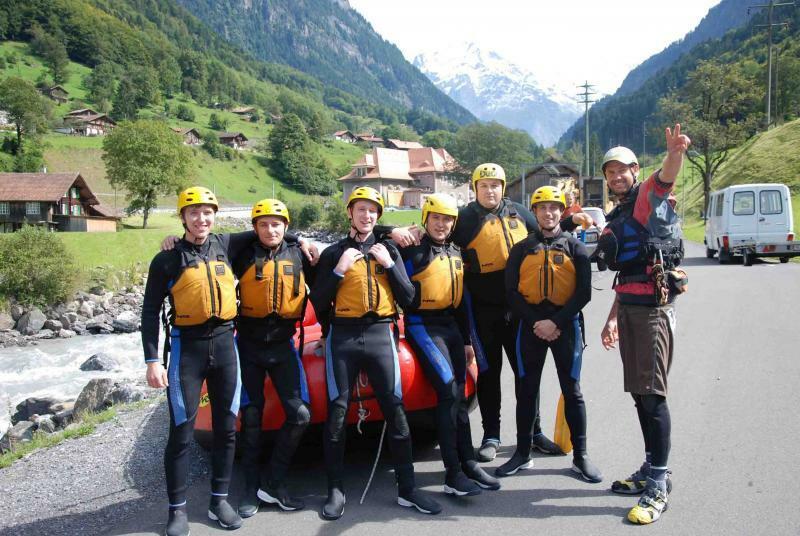 After a comprehensive health and safety meeting covering the key developments in the sport of paintball, the managers spent the rest of the day white water rafting down rapids with spectacular views of the Swiss Alps. Our managers are no strangers to high adrenaline activities, but navigating fast flowing rivers and swirling rapids in a rubber dinghy was quite a rush! The rest of their time in Interlaken was packed with even more team building activities and enjoying the local nightlife. Suffice to say there wasn’t a moment to relax! This year’s managers trip was a huge success! It was a great exercise in team building, it provided an fantastic opportunity to recharge the batteries and it also means that by looking after our staff we deliver a better quality of service to you, the customer. If you are interested in hosting a corporate event to reward your staff or clients then paintball might be the perfect activity for you. Give our booking office a call on 0844 477 5050, or request a call back, and speak to one of our friendly event coordinators about corporate event packages.